Wireless networking has been around for literally decades -- starting as a project to connect the Hawaiian Islands in 1971 (ALOHAnet, developed at the University of Hawaii). The more modern version of WiFi that we know of today, based on the 802.11 protocol, first surfaced in 1997. The most significant leaps forward of that era came in 1999 with 802.11b and the creation of the Wi-Fi Alliance trade association that owns the Wi-Fi trademarks under which most wireless networking products are sold. Within the next two years, industry experts forecast that there will be over 500 million public WiFi hotspots in use worldwide. That means there will be roughly one public WiFi hotspot for every 16 people on the planet. Crazy, right? Despite the massive growth of this incredibly-pervasive IT infrastructure, small businesses without a big army of IT talent still face a host of interrelated WiFi problems. At the top of this list: guaranteeing secure, reliable, high-performance WiFi for small business end users. Considering just how much a digitally-transformed, mobile-first world small businesses operate within, it’s not surprising to find a typical small business user attaching several devices to the WiFi network: a desktop, notebook, smartphone, and a tablet. Then there are wireless printers, smartwatches, streaming players, personal assistants, VoIP phones (voice over IP), and dozens of different kinds of IoT-enabled devices (The Internet of Things). In a Fortune 1000 company or even a mid-market company, IT teams typically have a lot of these complications under control. But enterprise-grade WiFi is expensive -- with large facility or campus installations approaching well into the seven figures. Most small businesses don’t have the capital to afford enterprise WiFi hardware or the kind of staff needed to manage that hardware once it’s deployed. Yes, even small companies can still be on the receiving end of some pretty big WiFi problems. What’s the answer for IT-dependent small businesses that need secure, reliable, high-performance WiFi? WiFi as a Service. Over the past few years, small businesses have changed the way that they purchase software and hardware. It’s very common for even the smallest of small businesses to use a variety of software applications. Traditionally, the company would’ve purchased these software licenses on installation media for their desktops, notebooks, and servers. Today many categories of software are licensed under a software as a service (SaaS) business model. Even a relatively tech-resistant small business will subscribe to a cloud-based office productivity suite such as a G Suite or Microsoft Office 365. And there are a host of other “as a service” IT-related business models that have evolved in recent years including infrastructure as a service (IaaS) and platform as a service (PaaS). Along the same lines, WiFi as a Service is a subscription-based service that combines three key elements: hardware, software, and managed services. Small business owners find WaaS appealing for many of the same reasons as SaaS, IaaS, and PaaS: large capital expenditures are shifted to much more predictable operating expenses that scale up more rapidly and granularly. WaaS makes enterprise-grade WiFi accessible to companies of all sizes. The subscription model eliminates capital expenditure. And managed WiFi services give smaller companies the support and maintenance they need to focus more on growing their business and less time spent worrying about the all-too-common WiFi problems. Even relatively non-technical small business owners have stumbled across a basic WiFi router and access point product at their local warehouse club, big-box electronics store, office supply superstore, or retail store. However, that kind of WiFi hardware, while adequate for many home office uses, is often woefully inadequate for the demands of small businesses. In much the same way that a front door, vacuum cleaner, or carpet chosen for the needs of a family of four is very different than the choices a small business owner would make for the demands of dozens, hundreds, or even thousands of annual visitors, WiFi hardware selection for a commercial setting is rarely as simple as it seems on the surface. 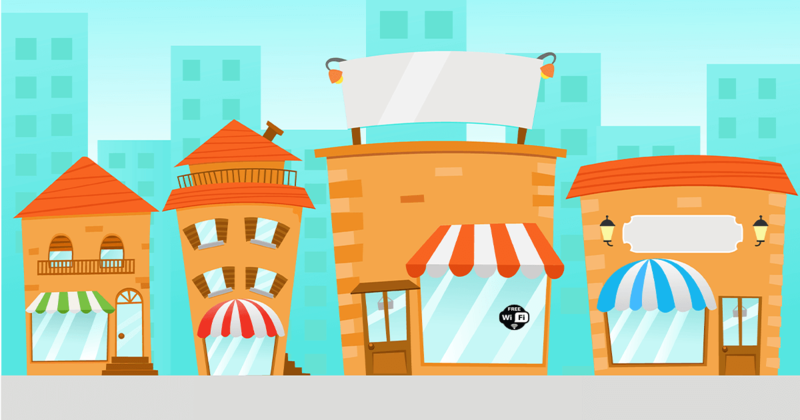 With WiFi as a Service, small business owners don’t have to worry about picking the wrong hardware. With WaaS, the right equipment is always selected that’s in the company’s long-term best interest for secure, reliable, high-performance WiFi. Any small business that’s ever purchased PCs is very well-accustomed to knowing that hardware by itself rarely solves problems. It’s the software applications, layered on top of the operating system (OS), that helps a company use IT to boost productivity, grow revenue, reduce expenses, and provide excellent client service. For companies that care about having a wireless network that stays fast, secure, and reliable, WiFi hardware needs the right WiFi software. This software should be cloud-based so that you can get to the management console from anywhere. And the software console should be straightforward to use even for non-technical managers, such as small business owners. You need to be able to see the overall health of the WiFi network, pinpoint areas of the network that need attention, and work with your WiFi support partner to ensure a quick and pain-free resolution to any WiFi problems. Just like WiFi, managed IT services are nothing new. Small business value added resellers (VARs) and managed services providers (MSPs) have been offering managed services for outsourced desktop and server support since the early 2000s. The big appeal of managed services to small businesses has always been access to much better IT support, with way better coverage hours, at a much lower, predictable cost. Managed Services for WiFi is built with the same idea in mind. The problem for most small businesses, however, is that the VAR or MSP that they contract with for outsourced IT support rarely has a team of WiFi specialists. In many cases, the generalist VAR or MSP may not even have a single WiFi specialist on their payroll. So the non-sophisticated small business owner ends up settling for a generalist when the company’s wireless needs merit the expertise of a specialist. With managed services for WiFi, make sure the program you sign up for includes professional network design, network monitoring, device monitoring, network management, tech support, and performance monitoring. In addition to choosing the right WiFi hardware, software, and managed services, preventing the most common small business WiFi problems also requires continuous performance monitoring. A comprehensive approach to measuring WiFi performance proactively addresses problems that can stand in the way of a great end user experience. This includes measuring WiFi performance at the device level, understanding WiFi visibility (including visualizing WiFi coverage and pinpointing dead zones), and getting a better handle on how IoT-enabled devices impact network performance. By installing sensors at the device level in your network coverage area, you can get real-time analytics reported back to your dashboard. This way, you can see which devices are connecting to your WiFi network and see how well these devices are connecting -- which will give you time to proactively head-off many common WiFi-related problems before they negatively impact your end users. In a digital- and mobile-first world, small businesses need to use IT as a strategic and competitive weapon. In most environments, this starts with having fast, highly-reliable, and secure network infrastructure -- especially and including a company’s WiFi network. By reading this article, you’ve learned about the root of most small business WiFi problems and how WiFi as a Service addresses these issues through more sensible hardware, software, managed services, and performance monitoring. To learn how WaaS can give your company the WiFi infrastructure that it needs to keep its employees on top of its game, request a design from the small business WiFi experts. 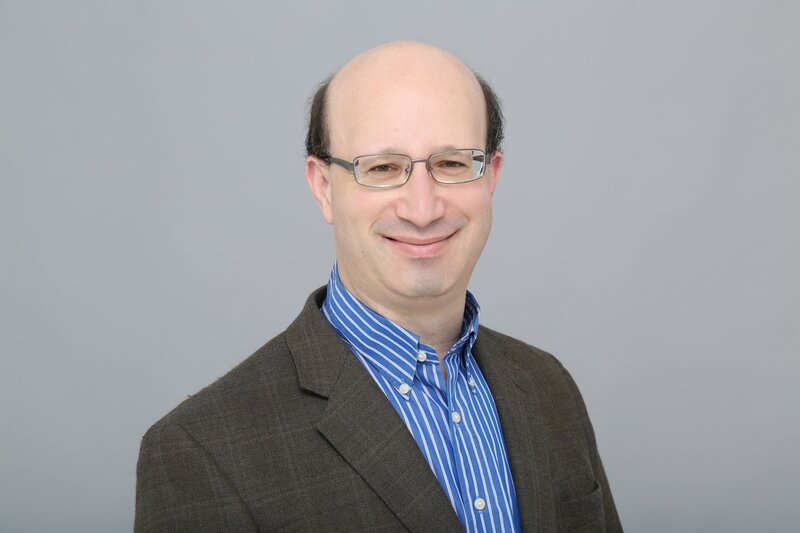 Joshua Feinberg is President of the Data Center Sales & Marketing Institute where he finds revenue growth opportunities that companies are currently missing. This includes helping clients differentiate, get found earlier in the buyer's journey, achieve trusted advisor status, and command premium pricing power to drive sustained, profitable, revenue growth. He's been writing professionally for the IT services market since 1998 and is a former Microsoft Corporation content provider for its Small Business Server (SBS) product teams and small business channel partner teams. As a big fan of inbound marketing and inbound sales, Joshua holds 10 HubSpot Academy certifications. A New Jersey native and Rutgers grad, Joshua now lives in South Florida with his wife and two children.